Mortified by my own pathetic amount of travelling (though – I have visited the two American states I’ve been to multiple times!) I decided to do something about my photo map, as my own version was looking a bit empty! 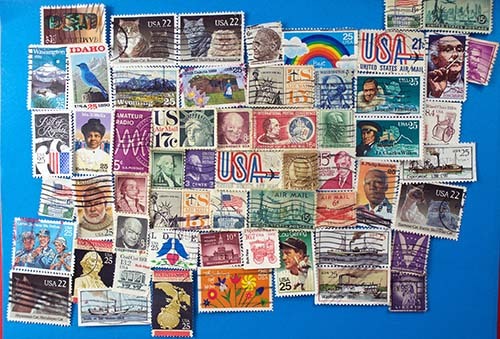 Something to attach the stamps to the paper – depending on how much you value the stamps this could be glue, stamp hinges, or the power of your mind. However, I did have to create a new template to do this. 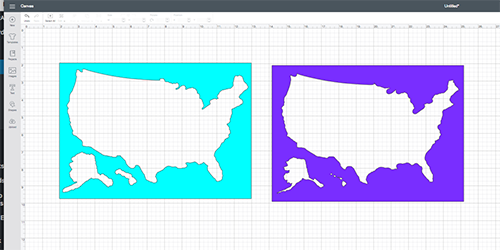 I’ve updated it on the original article about how to create a USA photo map but if you want all the files you can get them by filling the form in at the bottom of the page. An email will be sent to you – once you’ve clicked on ‘Confirm’ the files will be sent to you. (If there are any problems then please do check your spam folder! And if that fails…please do drop me a line and I’ll sort it out. Our FREE (for now!) file, which you can get by filling in the form below. You don’t need the individual state maps – i.e. the pieces that are in lime green and black – for this project, so group them together and hide them. That’s it…all ready to cut! The piece indicated by the light blue piece will be the overlay on the top of the piece – the one that fills up most of the frame (i.e. the one I’ve done in orange for this example). The purple piece will form a thin border between the colour of the previous piece and the actual stamps (I cut it from white cardstock for this example). Take your remaining piece (i.e. the one you haven’t just cut!) 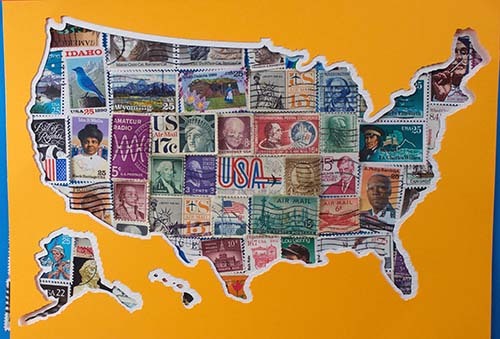 of cardstock and arrange your stamps across it. 2. 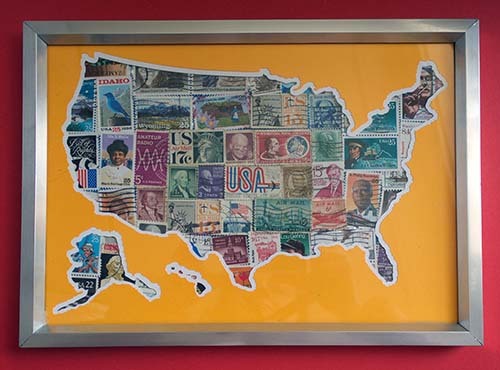 Once you’ve covered a wide enough area, then position one of the pieces you cut (the one the mat showed as purple) on top of the stamps, making sure there are no gaps. 4. Now all you have to do is frame it! Want to make this yourself? Simply fill in the form below to get the FREE (for now!) files sent to your inbox. PLEASE NOTE: You may use this file to create up to 100 commercial units (i.e. 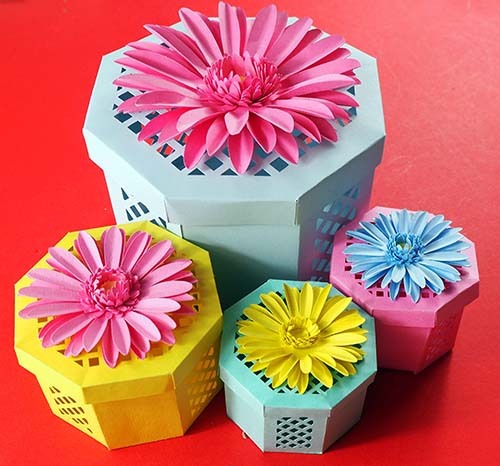 physical products) – any more than that then please contact me. However, you may NOT sell any of the digital files in any way, whether in full or part. 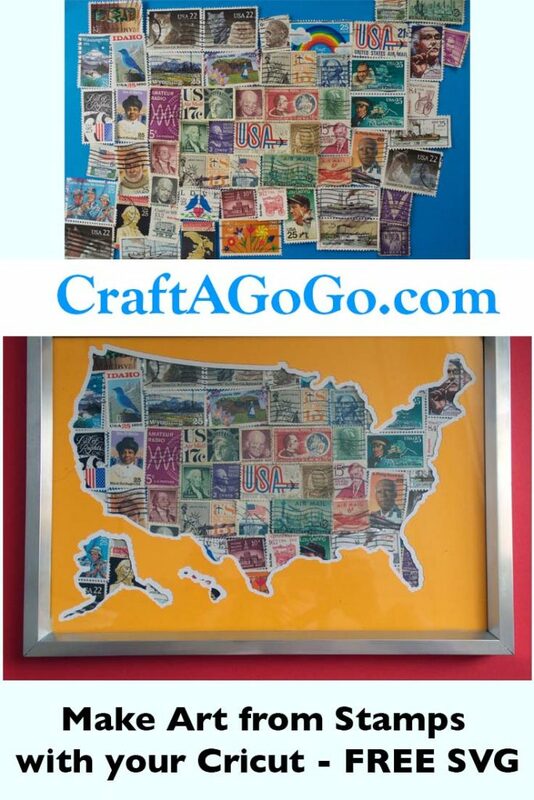 Once you’ve made it, please be sure to share it with us at the CraftAGoGo Crucial Crafting Facebook group! This was a project suggested by someone, and who knows…we might draw up your project too, if you tell us what it is! Thank you Denise – I hope you make something lovely with it! That’s a great idea. 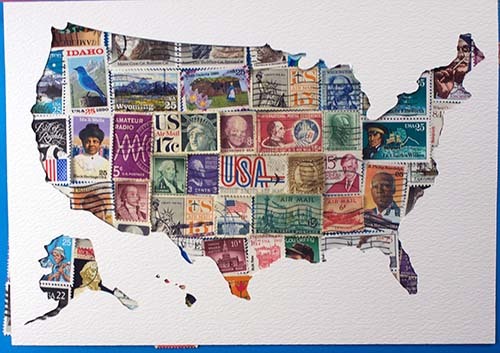 I was initially going to scan my collection of stamps as a digital paper that could be used with it, but then realised I’d probably be infringing the copyright of the US Post Office if I did that! I’m new and can’t wait to try this. Fantastic, Sherry – thanks so much for your comment, hope you make something you love!